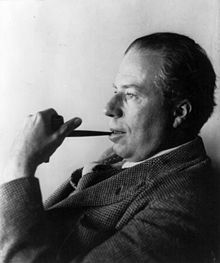 Christopher Morley (5 May 1890 - 28 March 1957) was an American journalist, novelist, poet, and playwright. When you sell a man a book you don't sell him just twelve ounces of paper and ink and glue — you sell him a whole new life. Love and friendship and humour and ships at sea by night — there's all heaven and earth in a book, a real book I mean. Gunpowder destroys itself along with its victim, while a book can keep on exploding for centuries. "Lord!" he said, "when you sell a man a book you don't sell him just twelve ounces of paper and ink and glue — you sell him a whole new life. Love and friendship and humour and ships at sea by night — there's all heaven and earth in a book, a real book I mean. Jiminy! If I were the baker or the butcher or the broom huckster, people would run to the gate when I came by — just waiting for my stuff. And here I go loaded with everlasting salvation — yes, ma'am, salvation for their little, stunted minds — and it's hard to make 'em see it. That's what makes it worth while — I'm doing something that nobody else from Nazareth, Maine, to Walla Walla, Washington, has ever thought of. It's a new field, but by the bones of Whitman, it's worth while. That's what this country needs — more books!" It's a good thing to turn your mind upside down now and then, like an hour-glass, to let the particles run the other way. The most interesting persons are always those who have nothing special to do: children, nurses, policemen and actors at 11 o'clock in the morning. We visit bookshops not so often to buy any one special book, but rather to rediscover, in the happier and more expressive words of others, our own encumbered soul. There is only one success … to be able to spend your life in your own way. Why do they put the Gideon Bibles only in the bedrooms, where it's usually too late, and not in the barroom downstairs?